Based on Neil Rackham's exhaustive research, the strategies you'll find here will enable you to . . .
•Tailor your selling strategy to match each step in the client's decision-making process. •Ensure that you won't lose your customers because you'll know the psychology of the buyer and how to respond to their doubts. •Gain entry to accounts through many different windows of opportunity. •Deal with competitive situations, take on bigger competitors, and win using strategies that the author's meticulous research shows are employed by the most successful salespeople. •Handle negotiations, concessions on price, and term agreements skillfully and effectively. •Offer the ongoing technical and maintenance support that keeps your major accounts yours. From a world-renowned sales innovator, this first-of-a-kind A-to-Z presentation of major account strategy puts sales success in your hands. Make it yours today. 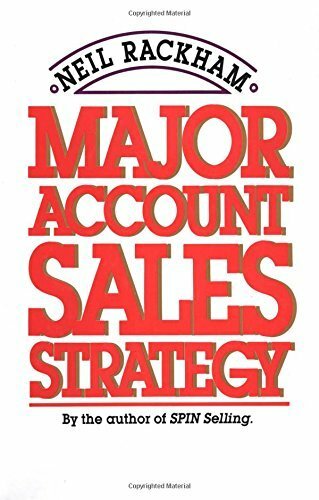 Read Major Account Sales Strategy. 2.Account Entry Strategy: Getting to Where It Counts. 5.Influencing the Customer's Choice: Strategies for Evaluation of Options Phase. 6.Differentiation and Vulnerability: More About Competitive Strategy. 7.Overcoming Final Fears: Strategies for the Resolution of Concerns Phase. 8.Sales Negotiation: How to Offer Concessions and Agree on Terms. 9.How to Ensure Continued Success: Implementation and Account Maintenance Strategies.